In fact, Thompson purposely timed his dive (located over Lompoc, CA) to coincide with the launch of a Delta II rocket carrying a satellite. 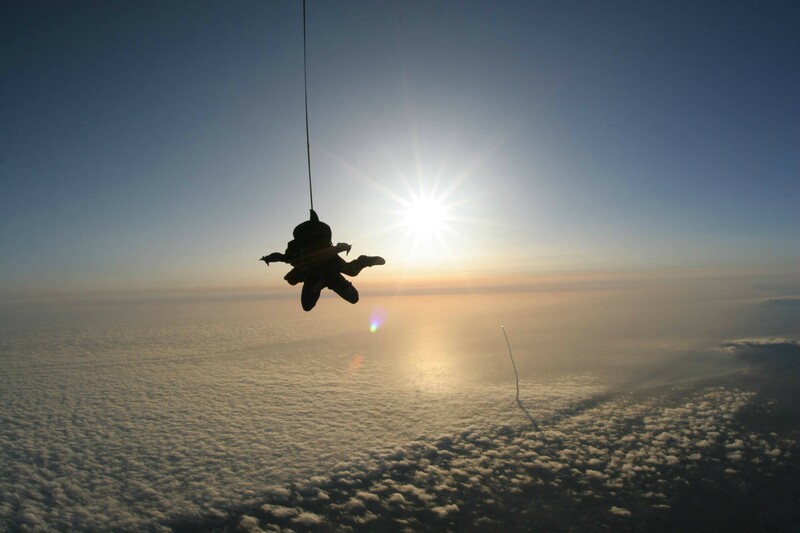 As a result, he got to watch the rocket burst through a blanket of clouds with a beautiful sunrise as a backdrop. What a way to start the day!